Being undecided means that you have not fully explored your options and need more information or time to make a decision. Being indecisive means that although you have the necessary information, you are either ambivalent about making a career or job shift, or lack confidence in your decision making. Whether you are undecided or indecisive, meeting with a career coach may improve your decision making confidence and enable you to transition to a more satisfactory job or career. If you are undecided, you may require more data about best-fit career alternatives. Use resources such as the Occupational Outlook Handbook to explore job duties, training and education needed, salary, and future outlook of potential options. You can also utilize salary.com and Glassdoor.com to further assess possible earnings for these opportunities. Further, by meeting with a career expert, you can complete some career assessment tools, which will identify your interests, values, skills, and work-environment preferences to develop a list of the best jobs or careers for you. While it may seem appealing to leave a job in which you are unhappy, you must explore the alternatives. Some people impulsively leave an adverse situation, and unfortunately, can end up in an even worse one. Or others remain too long in a dead end job due to a lack of confidence in finding a better opportunity. It is crucial to fully examine both the pros and cons of any potential move, which should enable you to make the best informed decision possible. Any career move entails a level of risk. Therefore, it is important to consider how risk averse you are and how it may impact your decisions. If you are relatively risk averse, you may need stronger assurances that your career or job change will result in positive results. Find people who may have experienced the same transition you are considering. By networking and discussing your options with individuals who have successfully made a career or job change, you can bolster your confidence in your career planning. Such consultation will provide you with the knowledge and the skills needed to obtain your ideal job or career, and allow you to overcome the fear of decision-making. 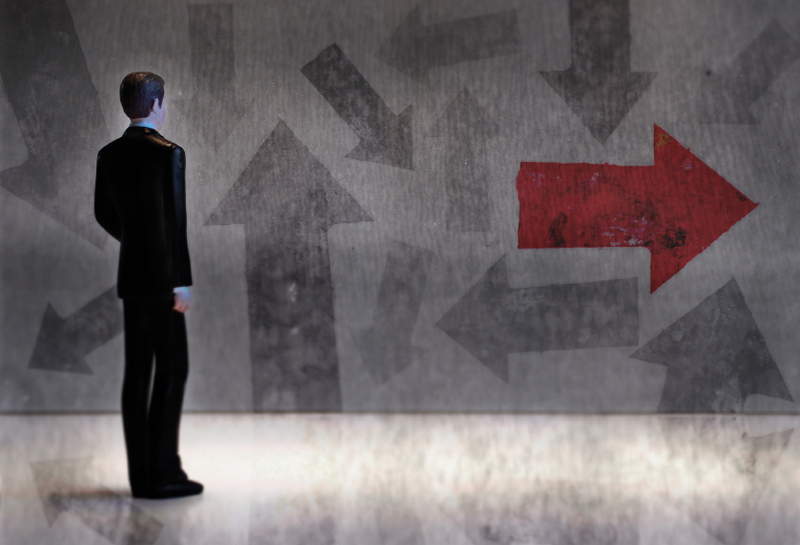 Making a career decision can be difficult, but a few strategic steps can take you forward.